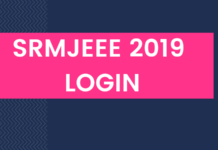 SRMJEEE 2019 Slot Booking – SRM University has started SRMJEEE Slot Booking 2019, on the candidate login. 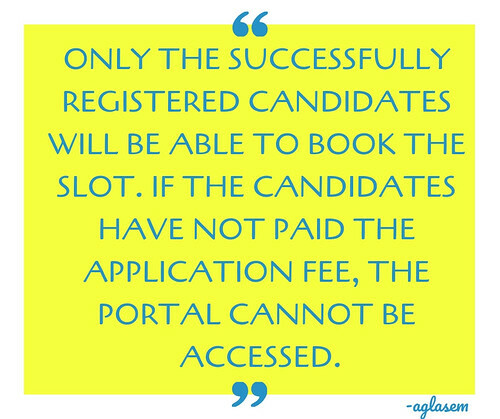 Only the registered candidates can do SRM Slot Booking. To do the booking, click on “Existing User? Login” link in the login and enter e-mail id and password to access it. From the SRMJEEE Slot Booking, the candidates can book slot, date, and venue. The exam will be held from April 15 to 25, 2019. Once the test slot is booked, it cannot be changed. Candidates can download admit card, right after the booking. Check more details on SRMJEEE 2019 Slot Booking from this page. Latest: SRMJEEE 2019 slot booking has started. Book your slot from the link below. SRMJEEE 2019 Slot Booking allows a candidate to reserve a seat to appear for the exam at the test centre. It is like booking a movie or travel seat. You get to select your most preferred time and date of the exam from the available list. The dates of slot booking are available below. 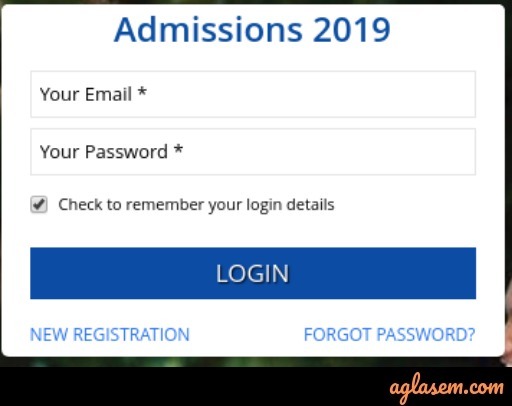 Slot Booking: – Click Here to access candidate login, for SRMJEEE 2019 slot booking. 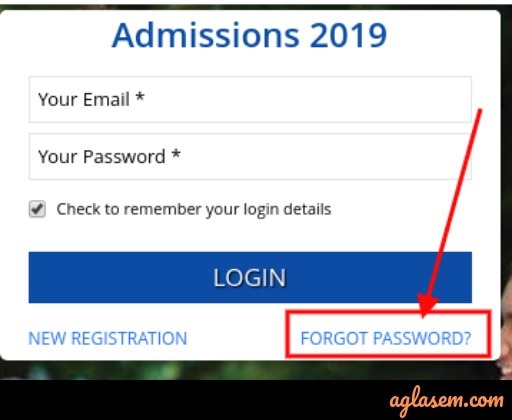 Only registered candidates can do SRMJEEE 2019 slot booking. Last date to apply for SRMJEEE 2019 has been extended until April 20, 2019. Hence, if you have not applied until now then here is your chance to do so. 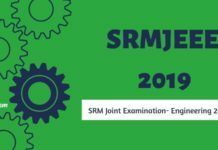 Click Here to fill the SRMJEEE 2019 Application Form. SRMJEEE is being held in a window of 11 days. Candidates can only book one date and slot for exam. The confirmed date, time, and the session are mentioned on the admit card of SRMJEEE. Hence, it is advised that the candidates check the test date for each center from the table. This will help in deciding the best date for the exam. 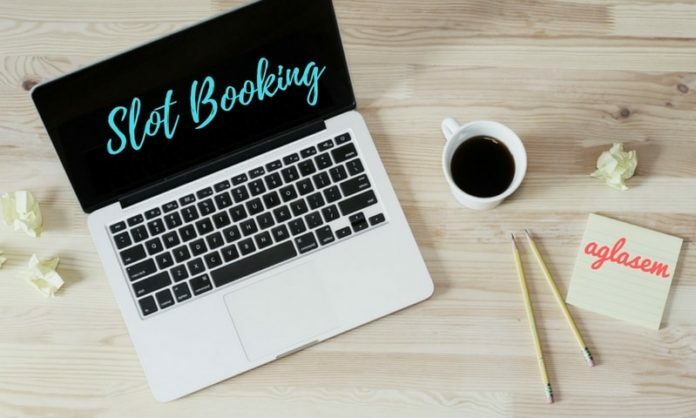 How to Do SRMJEEE 2019 Slot Booking? 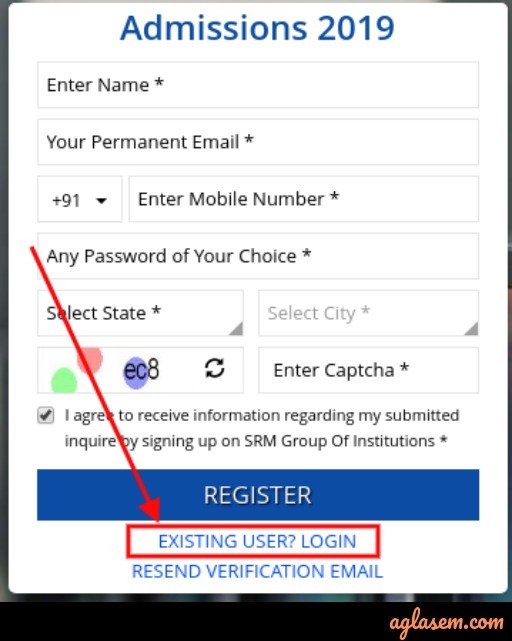 Step-1 Click on the SRMJEEE Login link above. Step 2 – It will direct to the login, in which, candidates need to click on “Existing User? Login”. Step-3 Now, enter login details, which are Registered Email ID and Password. Step-4 Next, in the dashboard, click on Book exam slot and do the slot booking. 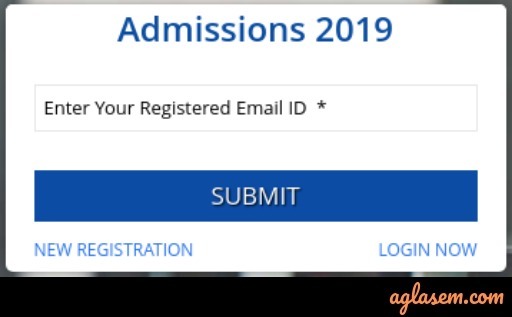 At the end of the slot booking, the link to download SRMJEEE 2019 Admit Card will be displayed. Click on the link and you will be able to download your admit card. How to Retrieve SRMJEEE 2019 Password? Step-1 Go to the candidate login and click on the “Forgot Password” link. It is on the right-hand side, at the end of the login. Step-2 Next, the candidates need to enter registered e-mail id, in the provided space. Step-3 Following this, the option to reset password will be displayed and via it, candidates can retrieve the password. The first preference for the exam center will is the default test city of the candidate. However, candidates will be provided 2nd or 3rd center choice, if very less number of candidates register for the 1st center choice. The city opted by the candidate as first preference will be considered as default city for online examination. Test Center: Firstly, the candidates will have to book the centre. The 1st centre preference submitted during the application process will be the default test city and the candidates will have to choose a venue in that city. There is also a possibility that the 2nd or 3rd test centre choice will be default city. Such will only happen if the centre will be filled before the candidates submit the choice. Test Date and Day: The candidates who will be appearing for multiple entrance examinations are advised to cross-check the dates for all and then decided the most suitable day for SRMJEEE 2019. Test Slot: Choose a slot which suits you the most and don’t worry about any other factor. As soon as the slot booking will be done, the option to print the admit card will be displayed. This indicates that if the candidates will not book a slot, the admit card will not be issued for them. 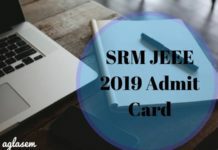 The admit card of SRMJEEE 2019 will be an important document and without it, the candidates will not be allowed to take the exam. Along with the admit card, candidates should also bring a photo identification proof at the examination centre. The SRMJEEE Admit Card must be preserved as it will be required at the time of counselling. The admit card can be downloaded by entering the email id and password. Note: There i no negative marks in SRMJEEE. when i go to the login portal of srmjee then after fillin g my application no. and date of birth it only shows that u have entered wrong details but i have checked the application form many a times… what should i do? I am facing the same problem. I called SRM office and they have asked me to write to them. Any response? I am facing same problem. srm slot booking 2017 link can not obtained. SRM Slot Booking 2017 link will be available. As of now, only city wise test dates are available. We are constantly checking official sources for link for slot booking. As soon as SRM updates link we will inform on this page. SRM SLOT BOOKING 2017 link can not be obtained. please help sir. I have received mail as well as SMS for slot booking. But to my utter surprise I couldn’t find any link to start the slot booking. Please activate the link if not done already. I was slot booked yesterday but today I can’t print my admit card.now what can I do.plz help. Please, go and check your email. There you will find the Link for Slot Booking. “Click here to login into your account and view your OMR Application Form PDF.” I have just booked a slot for my son. dear,sir i have been apply omr application for srmee.but still now i did not got any massage or any mail to my account…so you please help me correct information..
i am unable to get my photograph and signature on the SRMJEE admit card. I am not getting photograph and signature on the SRMJEE admit card. when i start to book my slot…it says that “slot will open shortly”. i’ve been trying the whole day! Anyone get through, please let me know. i tried booking the slot. But it always showed me “slot will open shortly”. I’ve been trying the whole day! anyone get through, please notify me.